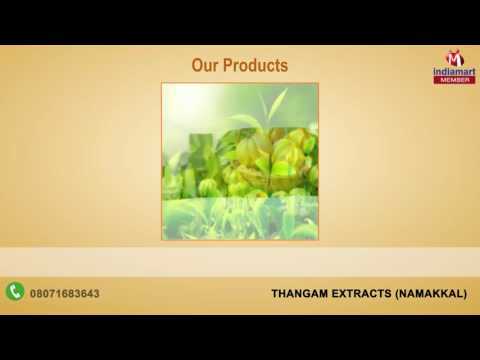 With the vision of catering the healthcare needs of people, Thangam Extracts was established in 1998 as a manufacturer and supplier of Ayurvedic Herbal Extracts. Our range of Herbal Extract, Root Extract and Flower Extracts are highly acknowledged for high efficiency and accuracy at affordable prices. For manufacturing these products, raw material is sourced from authorized vendors who follow international manufacturing standards and quality benchmark. Since establishment, superlative products stemming from Thangam Extracts has earned several rave reviews from customers because of their commitment to quality and hygiene. Furthermore, our skilled business ethics and wide distribution network have gathered vast clientele base to serve.